Separation Is Our Delusion, Remembering Is Our Solution! 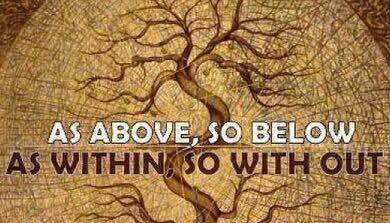 As Above, So Below, The journey goes on whatever path we choose to go. As Within, So With Out. What we have created our Souls bear witness to. We are Universal Creators limitless and infinite. We have no beginning and we have no end. Only endless possibilities of creation and discovery. From one Universe to another we are star families sisters and brothers creating in unity and harmony. Separation is our delusion, Remembering is our solution.